This entry was posted on 27th September 2013 by The Salon Look Girl. Guess what the hot topic of conversation is in the salon right now? I’ll give you a clue: it’s punctuated with glitter and gorgeous Russians. Yep, Strictly Come Dancing. Now on our fantasy leader board Artem and Pasha score very highly, but so does our receptionist’s guilty pleasure - Anton. Well, who can resist a man with a good sense of humour? Quite frankly, we’re buzzing with excitement and can’t wait for the amazing hairography, makeup and sequin overload that Strictly brings. Oh and the dancing will be fun too. Now I can’t say that I put in the same hours as the Strictly couples do, but I am on my feet all day long. Admittedly I don’t have to wear dancing shoes, but I am dedicated to my heels. So after a day at the salon, I treat my tired feet to some much needed love with my Strictly Beautiful Feet Survival Kit. This is complete beauty bliss for busy feet, a mini pedi at home, if you like. So what does it involve? Well, first things first: rehydration. For me it’s either a nice cuppa or a cheeky glass of wine. For my feet it’s a lovely long soak in a foot bath with a spoonful of Essie Spa Marine Sea Salts. It’s the perfect excuse to sit back and catch up with the Strictly gossip on It Takes Two, whilst the essential oils soothe my soles into soft submission. Doesn’t Zoe Ball’s hair always look fab? Don’t laugh, but I have been known to roll a tennis ball back and forth using the soles of my feet. Obviously whilst sat down, because that’s just asking for trouble. Anyway, it really helps to massage the muscles in my feet which tighten up and cause them to ache. Go on, give it a go. 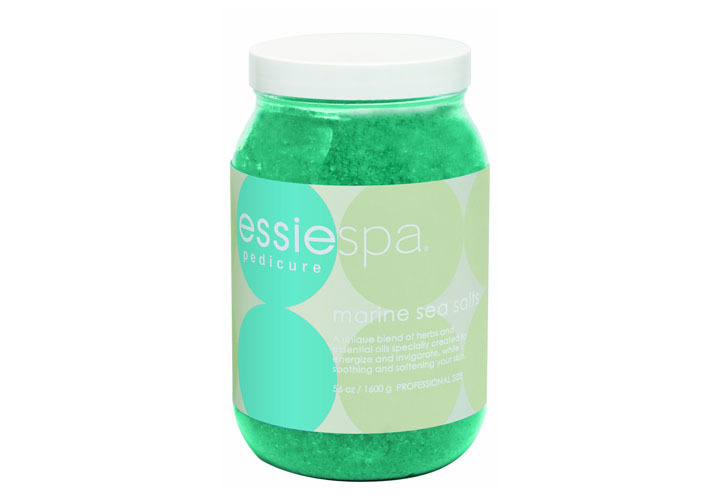 Use a spoonful of Essie Spa Marine Sea Salts and soak your feet in a foot bath. What else? I often pamper my pins and tootsies with an Essie Spa Hydro-Masque. Not that I’m greedy, but I apply a generous amount from my knees all the way down to my toes. Then I get busy with the plastic wrap and finally cover them with a warm towel. Yep, I’m in heaven and so are my hard working feet, thanks to rejuvenating aloe vera and stimulating peppermint oil. This brilliant pick-me-up for my legs and feet also allows me to continue my sofa-surfing for at least another 10-15 minutes with some energising chocolate. Shh, don’t tell anyone. Then I simply rinse off with warm water and dry thoroughly. Let’s just say the results are enough to pickle Len Goodman’s walnuts. 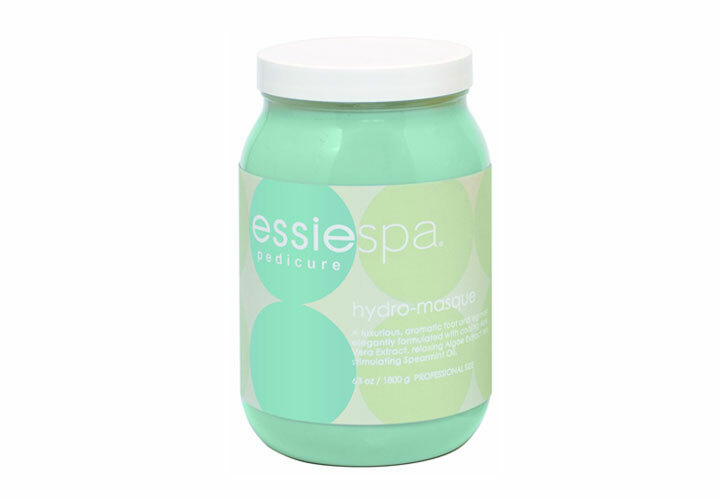 Apply a generous amount of Essie Spa Hydro Masque from your knees down to your toes. The summer may be long gone, but that doesn’t mean my heels aren’t on display. And believe me they haven’t always been so pretty, just ask my BFF. She told me about Nailtiques Avocado Foot Crème and how its rich avocado oil would heal my dry skin. How very dare she! I have a sneaky suspicion she was fed up with my constant moaning. For results worthy of a 10 from Craig Revel Horwood, I soak my feet in warm water for 5 minutes, and then remove any excess dry skin with a foot file before applying the crème. Ooh I almost forgot, it’s also great to use on your legs and hands too. Bonus, another must-have versatile beauty product. 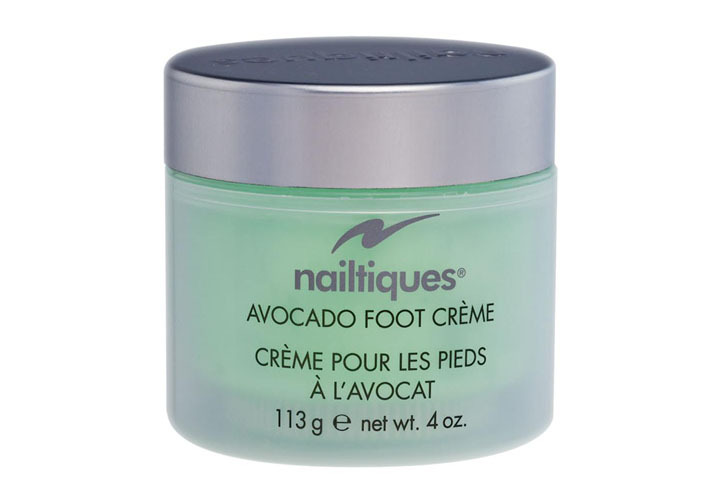 Use Nailtiques Avocado Foot Creme to heal cracked and dry heels. A dab of sweet smelling Nailtiques Nail Moisturiser with jojoba and aloe rehydrates my toenails, and later a lick of polish makes them worthy of public appearances. But don’t forget to apply a basecoat of Essie First Base Coat, especially with the gorgeous ruby reds and chocolate colours such as Essie Thigh High, which are hot this autumn. Otherwise you’re looking at stained toenails. Not attractive. When I’m short on time, a quick massage with Essie Ylang Ylang Leg & Foot Massage Oil nourishes my tired skin and aids the circulation in my legs and feet. You only need a drop about the size of a ten pence piece on each leg and foot for the sweet smelling coconut, ylang ylang and jojoba to work their magic. OMG, I can’t tell you how good it feels after a long day at the salon or a night on the dance floor. Bliss.